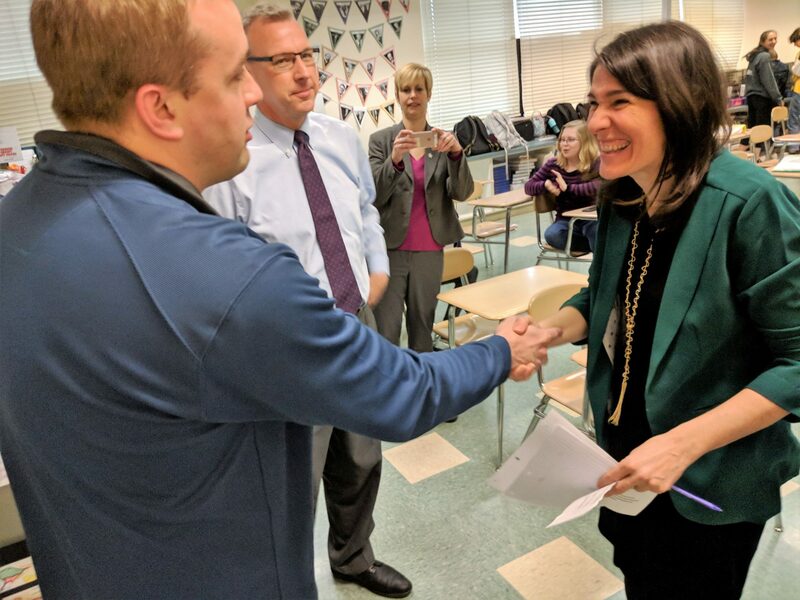 State Rep. Bryan Cutler visited Penn Manor High School Jan. 24 to learn more about our programs and to congratulate Penn Manor’s Teacher of the Year finalist. 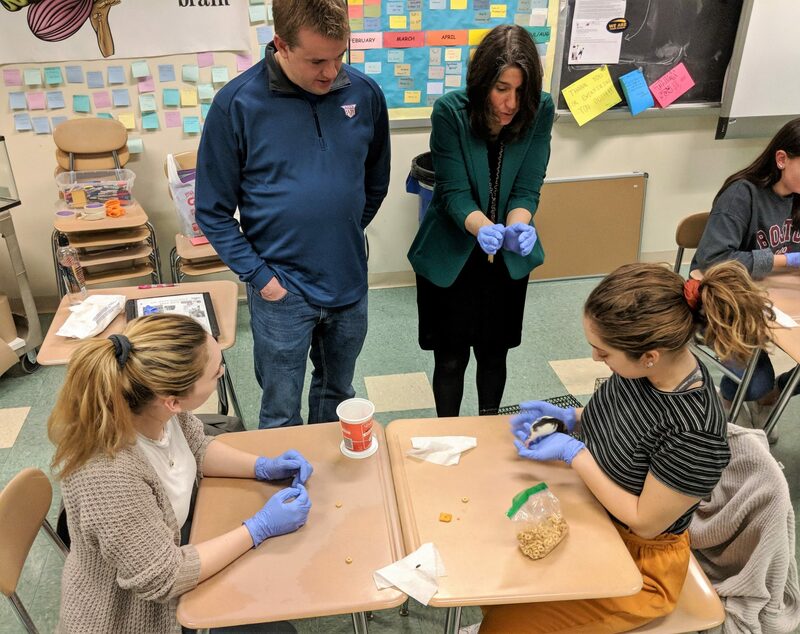 Cutler visited the psychology classroom of Maria Vita, who was one of 12 finalists vying for the 2019 Teacher of the Year award. Cutler congratulated Ms. Vita, then spent time with students as they worked with lab rats. 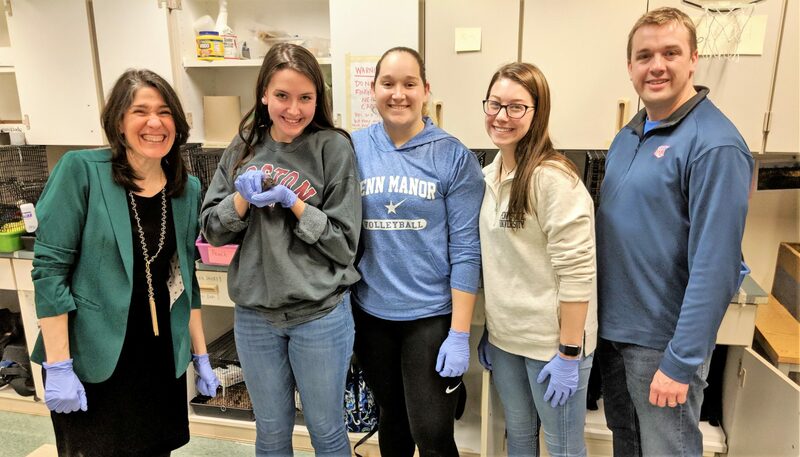 The students were interacting with their “adopted” rats to socialize them before they are used in conditioning lab experiments. 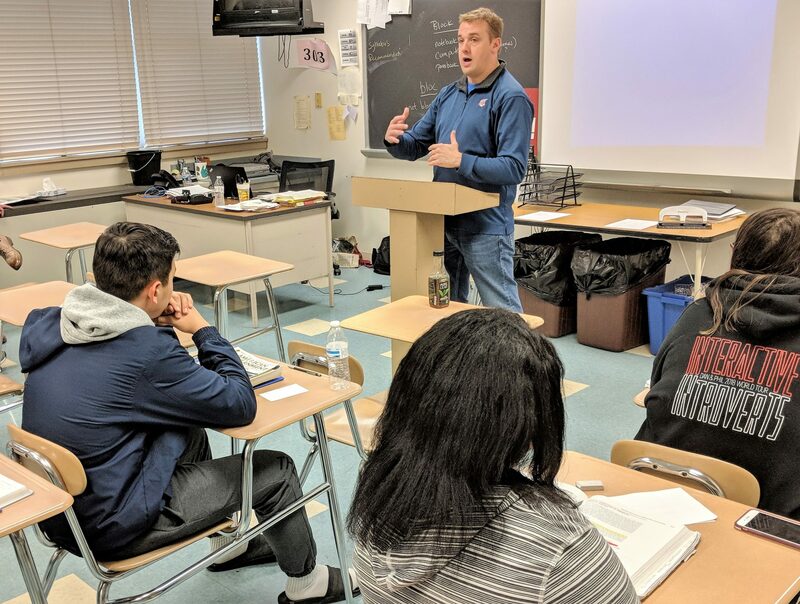 Cutler also addressed students in Jon Boxleitner’s AP Government class, where he talked about serving in the state Legislature and answered students’ questions about state government. Later, he visit with high school counselor Melissa Ostrowski to learn about Penn Manor’s Comet Credential initiative. Introduced last year, the program helps ninth-graders develop the “soft skills” employers say are needed to succeed in the modern workforce. Many thanks to Rep. Cutler for taking the time to learn firsthand about what happens in the classrooms at Penn Manor! State Rep. Bryan Cutler addresses AP Government students. Rep. Cutler congratulates Maria Vita. State Rep. Bryan Cutler watches psychology students work with a rat. State Rep. Bryan Cutler with psychology students and teacher Maria Vita. 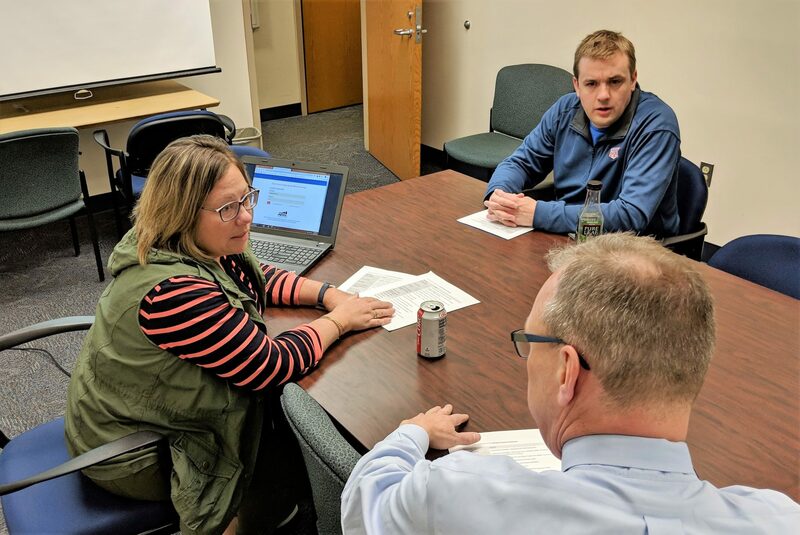 State Rep. Bryan Cutler speaks with counselor Melissa Ostrowski and Mike Leichliter, superintendent.